The skyrocketing price of drugs has led to growing anger not just among patients but doctors as well. The cost of prescription medication can wipe out a family financially in short order. What’s more, some of the drugs being prescribed have only a marginal effect, if any at all. 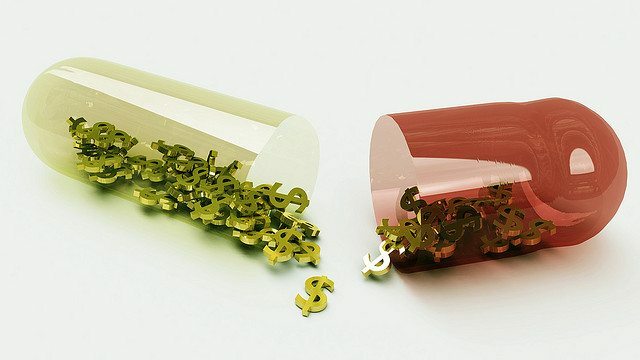 Yesterday, 118 doctors signed onto a commentary in the journal Mayo Clinic Proceedings alleging that the price of cancer drugs is threatening not only the care of patients but the health and sustainability of healthcare overall. In fact, they say, the prices of those drugs have escalated five- to tenfold over a 15-year period, with the average cost for a year exceeding the annual income of the average family. They allege that pharma greed is out of control. Create a post-U.S. Food and Drug Administration drug approval review mechanism to propose a fair price for new treatments that is based on the value to patients and heath care. Allow Medicare to negotiate drug prices. Allow the Patient Centered Outcomes Research Institute, created through the Affordable Care Act, to evaluate the benefits of new treatments and similar organizations to include drug prices in their assessments of the treatment value. Pass legislation to prevent drug companies from delaying access to generic drugs (“pay for delay”). Reform the patent system to make it more difficult to prolong product exclusivity unnecessarily (patent “evergreening”). Encourage organizations that represent cancer specialists and patients (e.g., American Society of Clinical Oncology, American Society of Hematology, American Association for Cancer Research, American Cancer Society, National Comprehensive Cancer Network) to consider the overall value of drugs and treatments in formulating treatment guidelines. The doctors also reference a petition on Change.org that asks the Secretary of Health and Human Services for Relief. On the same day, the Laura and John Arnold Foundation made a $5.2 million grant to the Institute for Clinical and Economic Review (ICER) to more broadly investigate U.S. drug pricing. Part of the investigation will focus on relative benefits in comparison to cost—an issue also identified by the doctors’ statement referenced above. ICER, however, is only expected to produce 10–20 reports in its first two years. Meanwhile, patients and their families are being buried under unsustainable costs. The question of whether the IRS considers the Mayo Clinic a health care charity or a nonprofit educational institution is worth $11 million and counting.